With the age of the Internet, so many commercial printing companies have come up short. We are watching magazines and newspapers fold and turning to digital means to keep up. However, there are some trends in commercial printing that are actually helping this industry not only stay afloat, but also to succeed and see more opportunities. 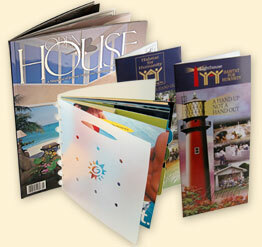 One of the latest trends is digital printing. This is what the future holds and companies that have made the transition are flourishing. One major perk to this type of printing is that it is far less costly. So, with lowered overhead costs, you can lower your prices and attract even more customers. This type of printing is also very fast so you can get jobs done far faster than you could with commercial printing. The color durability is also high, so finished products will stand up very well to light and other sources of degradation. Some customers will still want traditional commercial printing so this should still be an available option. You can still offer this as a stand-alone service, or offer it along with digital printing. You can put together a variety of different combination packages so that customers have plenty to choose from. You can also allow customers to create their own package. For example, a customer may still want to use traditional printing methods for their brochures, but want to use digital printing for another aspect. To take your business to the next level, you may want to follow the trend of incorporating graphic design into your printing business. You can find many phenomenal graphic designers out there that can help you build upon the services that you offer. Those with these skills can help to create websites and digital content and these can be added to your printing services. For example, if you create brochures and business cards for a company, having a graphic designer will also allow you to help them create their website. This will increase your revenue and help your customers only need one company to get all of their advertising needs done.